A close-up from NASA's Opportunity rover shows the light-colored feature known as "Homestake" or "The Vein." Scientists report that the mineral vein consists of gypsum, a hydrated calcium sulfate that is formed on Earth in the presence of water and is used to make drywall and plaster of Paris. 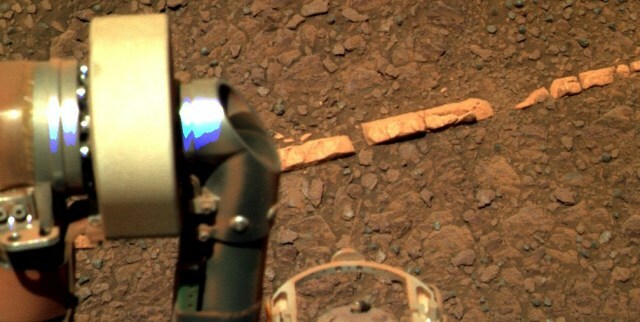 One of the joints in Opportunity's robotic arm can be seen in the picture's foreground.